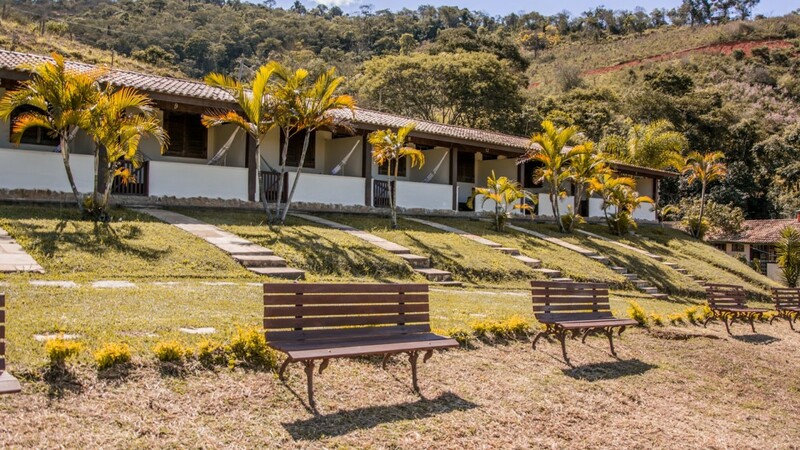 The hostelry is located in São Lourenço - MG - brazil- amid the beauty of Serra da Mantiqueira and 4 Km from the Centre of the city. The inn accepts pets and offers an outdoor pool, an indoor swimming pool, games room, bicycles, library, living room with SKY, lake for sport fishing, hammocks, lounging area and wi-fi. This suite sleeps up to 3 people, one double bed and a single bed. It offers a flat-screen TV, private bathroom, refrigerator, ceiling fan, balcony with hammock and WiFi.